Briton held year-and-a-half released in military operation in southern Yemen port city of Aden, just before Al Qaeda conquers the city. The British Foreign Office announced on Sunday that a British hostage was released from Al Qaeda in a military operation in Yemen, reports Sky News. The as yet unidentified hostage was freed by United Arab Emirates (UAE) forces in Yemen's key southern port city of Aden, according to the UAE state-run WAM. "The British national is safe and well, and is receiving support from British government officials. We are very grateful for the assistance of the UAE," British Foreign Secretary Philip Hammond said while in Iran's Tehran to reopen the UK embassy that was stormed in 2011. Reportedly the hostage has been held by Al-Qaeda since disappearing last February, meaning he has been a captive for a year-and-a-half. After being rescued, the hostage was flown to Abu Dhabi on Saturday night by a UAE military plane, at which point the state's crown prince Sheikh Mohammed bin Zayed al-Nahyan told British Prime Minister David Cameron about the successful conclusion of the operation. 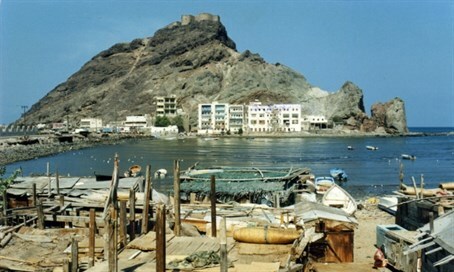 Just hours before the results of the operation were announced, it was reported that Al Qaeda had taken control of Aden, which has been a key battleground in the five-month civil war raging in Yemen ever since the Iran-backed Houthi militia ousted the government.